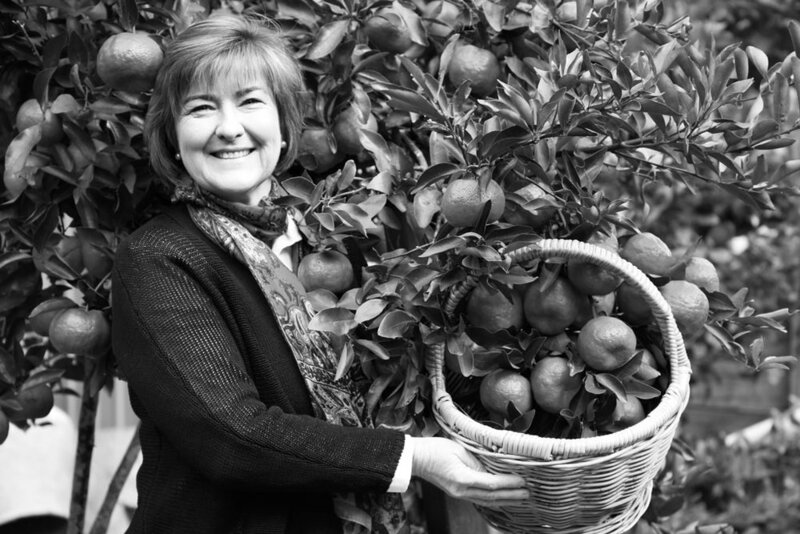 Helen is new to the social enterprise sector having only launched Spare Harvest in March 2016. Helen has been a full-time parent since her first child was born and describes having children as her first social enterprise. Prior to having a family, Helen worked in various corporate roles in administration, sales and marketing. When Helen sees a problem, she focuses on the solution. Having only completed a high school certificate this has not stopped Helen from starting her first social enterprise by jumping in and making her vision a reality. What Helen lacks in formal education she makes up for in your passion and persistence to make the world a better place. Helen shares her experience in the value of building connections in communities, discusses the potential of the sharing economy and talks about the key traits of successful social entrepreneurs. [Helen Andrew] - My journey probably started when I was a child. I grew up on a standard suburban block with my Dad, using every inch of ground to actually grow something that we could eat. So I had that luxury of being able to go out to the garden and pick something straight away or take it up to the kitchen and use it directly in our food. I also had parents that were in the service space - Dad was in the ambulance, Mum was a blue nurse and we were very community focused around fundraising and service impact around the community. I didn't know it at the time but I now understand how those experiences actually helped me develop Spare Harvest. When I decided to have a family I made the decision to drop out of the workforce. So I dropped out 15 years ago when I had my first daughter, Alicia, and I was a full time parent. We wanted to give them that experience that I had as a child. I felt I had the time, now not working, to actually invest in building a garden. So we started to do that on a suburban block here in Brisbane, but realised that we really wanted a bit more space to do that. So we moved to the Sunshine Coast and so we were lucky enough to buy a property up there that had some established fruit trees on it already and some raised garden beds. We were off to a great start. Then the first citrus season came and I realised I had a lemon tree, three mandarin trees, a tangelo tree and a kumquat tree and that season was an abundant citrus season. You have cycles of abundance with food when you grow it. I tried to share it with my network, but I was new to the area, so I didn't have an established network. I even took a bag of mandarins to my son's teacher and she literally didn’t let him through the door because I was giving her my excess when she had an abundance laying on the ground at her own place. Even my network was having the same problem. So I ended up burying those mandarins into the ground. I dug a big hole with my Dad and we just buried them, which was just an awful feeling to know that there was this lovely abundance that I had not invested anything in, given to me, that I was wasting. That feeling sat with me for a while. The next citrus season came and I had the same problem. I was like, ‘I’ve got to find a solution to this!’ So that was the inspiration for starting Spare Harvest. But, I had no network around me. I’d dropped out of the workforce a long time ago. When I dropped out, there was no social media, and what resources there are now I had no experience in. I realised quickly that it had to be a tech based solution. I had no technical skills whatsoever. So I had a challenge in front of me of how I was going to find a tech based solution to this problem of wasting food in backyards. So, then I had to start going out and start creating my network. My first interaction was a Techstars Startup Weekend on the Sunshine Coast. I got up there and did a pitch about wasting the mandarins and had a group of people surround me. They helped me develop that idea a bit more, but more than developing the idea, that was the beginning of creating my network around me and sharing my story. I think if you've got an idea, you've got to share it. You can't keep it to yourself because it's the people that come into your world that actually help shape that idea. I was lucky enough to find a young 22 year-old tech nerd who had all the skill base and technical stuff that I didn't have. He also had grown up on a farm, and saw the waste that was on his farm. He really loved the idea and he's been working with me on a volunteer basis for the last two and a half years now to help me bring Spare Harvest a technical solution. I think that’s the foundation of social enterprises - that emotional connection to something that you need to find a solution to. Yes, exactly. So they say you need to be able to connect with your market and understand your customer target market. Well that was me. I was a gardener in the backyard who had all this abundant fruit. So, if I'm having this problem, the gardeners are also having this problem. It was a little bit easier by having that experience myself to actually develop it. So, a lot of technical stuff and it's been fantastic. I've learned so much. My grey matter is being stimulated constantly by having to learn how to use Wordpress, technical stuff and database and all those things are very different. Very different to the garden. Yes [chuckles]. In fact, I like to actually get up off my desk and go out into the garden sometimes and just water it or harvest - just to get away from the computer and get back to why I started Spare Harvest. At the moment we are working on version 3.0. We always pivot and change it - thats the great thing about a technical solution. You can do that very easily. You've got that flexibility. Based on feedback from our customers, we're looking at a redesign - to bring in a lot more features that our members are looking for. So that's one project I'm working on. My other project is ongoing - to get out there and tell as many people about Spare Harvest as possible. The more people using it, the greater our impact is. The other project I'm working on is developing a program called Community Connectors. The program will basically recruit volunteers in local communities who would develop community initiatives specific to their environment and then run those using our platform. 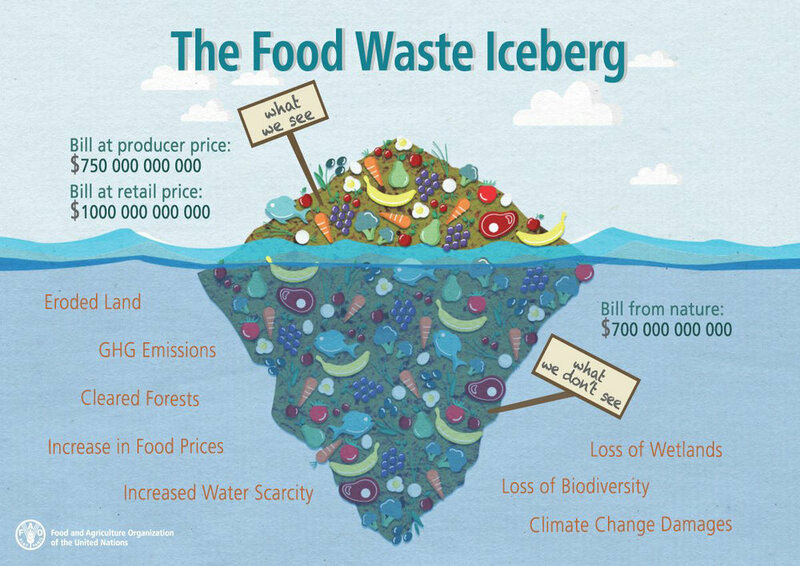 The beneficiary is food waste. The way we go about doing that is it's really about resource utilisation - the more we utilise those resources, the more opportunities we have of reducing our waste footprint. So, we don't need lawn mowers in every shed. We could all be using Spare Harvest to share our lawnmowers. Tools that we could share instead of buying more. Resources around time - we've got a gentleman in Melbourne who's actually said he's happy to share some of his time and waters people's garden if they are on holiday or if they've had an accident - to keep the garden alive. So time is a resource we should better utilise. Also, when you put seeds into the ground, you usually put more than you need because of your strike rate - you might not get as many as you want, you might get all of them come up. So, rather than wasting those seeds, you can put them onto Spare Harvest and give them to someone else. Runners - my strawberries are putting out runners. Instead of cutting the runners off and then putting them into the compost bin, those runners are actually better off in someone else's garden producing strawberries for them to eat, and then they don't have to buy strawberries from the supermarket. They're in plastic and have traveled 1500 kilometres to get to you. So by better utilising those food and garden resources within a local community, we not only utilise those resources and not waste them, but we're reducing our carbon footprint. We're being better connected as a community because the integral design of Spare Harvest is face-to-face connections. It's not transactional. It's a conversational platform. So, people get to meet each other, and they might come for the strawberry runners out of my garden, but they might also walk away with herbs or something else they see that they can actually utilise later on. We are a tool. We're an enabler - to allow the community to come together and utilise those resources better with each other. Typical tools for me - Google and Youtube are fantastic because they've helped me learn how to do lots of things. Spare Harvest is on a Wordpress platform. I'm also working with volunteers that aren't necessarily close to me, so we also use a lot of business tools like Slack, Trello and Dropbox to access files and communicate. The Business Model Canvas is a great tool to actually just map-out what your business model looks like in one page. The Value Proposition Canvas is a great one to work out what the value proposition is for each of your target markets. And they've got them all as apps, so you can just do it on your phone. I've set Spare Harvest up so that it is not dependent on any one particular person. It's a technical platform that anyone could pick up and just manage. I want it to be here forever, be sustainable and have as little number of dependencies on it. Well, Spare Harvest is only two years in, but from a personal perspective, vision is really important - knowing really what you want. In fact, I'm even spending time with my children, asking them what they really want too because that's really important. Vision is key to success. Action - acting on that vision, and doing something towards that vision is really important. And perseverance - knowing that those actions do take time for that vision to become a reality. So being patient and persistent. So vision, action and perseverance I think apply across my social enterprise, as well as in my personal life. My limited skill set has absolutely been a challenge. I've had to bring on other people to make up for that, so that those people I bring in add to our capacity. That's definitely been a challenge. But [another challenge] is also how to best use the funds. I fund Spare Harvest personally. At the moment, while we're building it and growing it, we have a business model in place on how we will generate income to make it profitable and sustainable, but we're not there yet. Like someone said the other day, sometimes businesses don't necessarily become profitable the first day you open an office, there has to be an investment of time and energy. The other challenge would be about how to best spend the money that I'm investing in Spare Harvest - where am I getting the biggest bang for my buck? And that's always a challenge. Where do you put that money to get the biggest return? I could redraw more, get more on the home mortgage and throw more money at it. But sometimes by bootstrapping it - on the smell of an oily rag as they say - is better because you learn more that way and you grow organically. I really do believe organic growth is the key to sustainability too. Well, actually I didn't know I was setting up an enterprise in the sharing economy. I just realised that this is how it used to be when I was growing up. I used to just share stuff with people. In one or two generations we've lost that connection to our community and our ability to utilise those resources. I just started something based on my experience, and behold - it's in the sharing economy. So, one is learning what the sharing economy is today because it's quite different to what it was when I was growing up. In fact, it's probably been hijacked by large companies like Uber and AirBnB and they say they're in the sharing economy but my business looks very different to theirs. So it's about that understanding. What is the sharing economy, where do I fit into the sharing economy, and how am I different to them? And then that's me learning. Then also transferring that learning to members, helping them understand that they're actually in the sharing economy, even though it looks different to when you have an Uber ride. So, it's really around that educational component. I think that is the sharing economy in its basic, real form - where we actually are coming together in a peer-to-peer relationship, exchanging and swapping resources; whether it be permanently or temporary, whether it's for money or not for money. That's what Spare Harvest is in and that's what I want people to understand and communicate - this is the type of sharing economy you are in when you connect with Spare Harvest. It's not the type that you see when you're having an AirBnB experience. Yeah - really valuing that horizontal network of relationships. I've seen though that despite its values, the sharing economy has received some criticism and opponents argue that without regulation sharing and circular economy platforms can lose values of collaboration and these horizontal relationships that Spare Harvest so clearly has. Do you agree with this? If so, what do you think can be done to prevent this from happening? Absolutely. I think criticism is correct in the sharing economy because there are some business models in the sharing economy that criticism absolutely applies to. What started as potentially horizontal relationships, for example where you did have a spare couch - that's how AirBnB started, as a couchsurfing enterprise - or a spare bed and you shared it with someone. That was fantastic. But they've changed their business model. Investors got involved, they wanted a return on their investment, their business model changed. And when you change those things, you move away from what your original vision was because you have obligations now to the business model, to the investors and to your employees. So, the criticism is absolutely deserved. Darren Sharp, the director of Social Surplus, says Uber and Airbnb are more about pursuing a particular model of platform capitalism rather than sharing. So, that criticism is relevant for some businesses in the sharing economy and it's not relevant for other businesses in the sharing economy. We are all on the same sharing space. How we go about doing it is very different. So, we go back to that horizontal relationships you're talking about, which are based on trust, and usually a social exchange of some kind. They're usually invisible - they just happen naturally. In Spare Harvest we're bringing people together in a common interest. We're bringing together peer-to-peer. So it's very horizontal. It's not about making an income or commercialising Spare Harvest, or someone taking it and going, 'OK, I made a bit of money out of my spare bedroom. What happened if I bought a whole house' - now it becomes a commercial entity. That now is no longer a peer-to-peer. It's now a business to a consumer because he's now created a business within the AirBnB platform. Spare Harvest is not designed that way at all. We give people the option to give it away, swap it or sell it. But we don't take any transaction fees from it. So when I say sell, it's usually for a nominal cost. Gardening is a very expensive hobby, so some people use it as an opportunity to supplement their income if they're retired or if they're underemployed or unemployed just to pay for resources that they want to invest back in the garden. So I give people the choice. I think it goes back to the same conversation that we're on. We're all in the sharing economy space, but the way we go about doing it - our business models and our impact - are very different. So the first thing I would say is the government needs to not put us all into one bucket. We're all different. So have a look at what the business model is and the impact that business model makes. If you're making a positive impact on the environment or people, then that's where social enterprises have an opportunity to flourish in the sharing economy. Basing it on how they're doing it and why they're doing it. They're very different to the vision and the purpose of Airbnb and Uber. So don't lump us all in the one box because we're not - we're all different. There are a few from the Sunshine Coast that I'd like to share. There's a business called 'Small is the New Big' and Ian Ugarte describes himself as a socialist-capitalist. He's in the housing, affordability and homelessness space. So he's actually taking the whole property investment idea and turning it on its head - that I can invest in a property, that property looks and feels different, and provides affordable housing for people who are homeless or isolated and things like that. So I really love what he's doing. I love his energy and his vision. There is another project that I love. It's called Hive Haven - Anne and Geoff have created a new native bee box that insulates the bees during heat events. We've had some extreme heat events here in Queensland and we've lost a lot of native bees. Not only in native bee boxes, but also in nature when they get to a certain temperature, they die. So she's created an amazing, funky looking box that native bees can live in and they can live comfortably in that box without actually having to worry about being killed due to the heat. So that's another one. Another one that I really love is Anna and her team from Refugee Talent which are based in Sydney and they're helping refugees around finding employment. I love what she's doing. And then I've got some friends who have started the Mindful Wealth Movement where they're actually helping with courses and workshops to help women develop their financial literacy. Being relatively new to the whole social enterprise space, and Spare Harvest only being two years old. We're still trying to navigate how we capture that impact and how we communicate that impact. So at the moment we do it in a quantitative way - the number of listings and the number of resources that people are sharing. We track that. And then the number of connections over those listings - so, how many people are actually connecting around those resources. For example, I could have strawberry runners listed and I might get six or seven people to connect with me on those. So I've actually got lots of people connecting with me around one particular resource. It's not necessarily a ‘one-for-one’. And also, I'm coming to understand that the way we actually show our impact is through our storytelling - how members are getting value out of the platform and sharing their stories. I'd like to share one particular story with you that shows how important we are to the fabric of our society and the environment. I had excess glass jars. It was originally around food and garden. I thought - well, I'm cooking spaghetti and I've got all these glass jars left over from passata. And typically they go into the recycling bin and as we know now, recycling isn't necessarily recycled. So I thought why don't I put those glass jars onto Spare Harvest? So I put a listing up on Spare Harvest and I had someone contact me saying 'I'll have those glass jars', and I said, 'Oh ok - what are you using them for?' So when she came out and collected them, she was telling me what to use them for, and she makes pickles with them. Then I say, 'well I've got bucket loads of cucumbers. Do you want those?' She said, 'Oh, I'll take those!' And so, I ended up giving her probably about 90 glass jars over a period of time, and kilos of cucumbers because my five cucumbers gave me more than I needed. And what Merril does - she's probably in her seventies - is she gets into the kitchen and she makes these amazing pickles. They are amazing. And then she donates them to a charity on the Sunshine Coast called Care Outreach. And Care Outreach do care visits to our farmers in Western Queensland. So they go out and actually do face-to-face visits. It could be the only face-to-face visit that farmer gets. Now, Merril's pickles go with those carers as a gift that they give directly to those farmers. So what a glass jar that I would've put in the bin and pickles that I could've composted, because I didn't want to use them all, are now sitting in farmers kitchens in Western Queensland as a result of a care visit made from Care Outreach. Instead of composting my cucumbers or recycling my glass jars, they've stayed in circulation in our community for as long as possible. Now I'm imagining those farmers - who are incredibly resilient and thrifty with everything they've got. Those pickles will be used on their sandwiches, and when the glass jar was empty, I'm sure that they'll use that glass jar for something in the kitchen if not in the shed and it'll never end up being recycled. Those cucumbers, yes, they're great to be composted - it goes back to the earth - but they're at much better use sitting in farmer's kitchens and being used on their bread than in my compost bin. So that is a very good story that shows our impact. That's the purpose of Spare Harvest - to connect those two people so that resource gets used and doesn't become waste. My job is not about managing waste, it's about reducing waste. Food is better off - if it's available and can't be used - being shared with someone else who will use it or feed it to animals or recovered through heat and methane and whatnot, before it goes into the ground. You know, this idea of saying 'Food - if you can't use it, put it into compost'. That's not the circular economy. The circular economy is saying, 'Ok, we've got food that we don't need any more. Who else could use it as food?' If no one else can use it as food, who can use it as a food for their chooks or their pigs? That's a better use for it. And if we can't use it for that, we should be recovering, through resource recovery, before it becomes compost. That's what I love about Spare Harvest. I had an initial vision where it would be just like excess mandarins and food in the garden I'd share, but once I put it up there, I started watching how other people were using it. And that's been the most delightful, joyous experience - watching how other people are using it. A lady's just had an operation and she can't get into her garden to water, and I said well, create a wanted listing. Now that was feedback from my members - 'Can we put up a wanted listing of what we're looking for?' I said, that's fantastic! Rather than just telling people what you've got, let people also know what you need so someone can go, 'Oh, she needs some help. She's just down the road, I can do a couple of hours to help her in her garden' and things like that. So it's really coming back to that whole community engagement and actually utilising resources more efficiently. Whether it be time, food scraps, pots or garden materials. To the point where yesterday I had some items in my pantry that were given to me as a gift, the Maggie beer selection of pastes, that we like. So I put that on Spare Harvest and said I'm happy to give it away. Within half an hour I had someone connect with me and say 'I'll have those, and I'll swap it with a plant' and I said, 'Fantastic!'. So I'm meeting up with Kevin tomorrow and he'll get all those Maggie beer pastes and I'll get a nice plant from his garden. So they were underutilised food resources sitting in my pantry that are now being used by someone else. So I've now expanded the platform to say leftovers from the pantry and leftovers from the fridge. Let's try and move them to someone who use them before we waste them. And what I'm hoping as I grow the network is that there will be lots of other little social innovations that will come from that. So, we've seen innovations in Western Australia where they are collecting your food scraps, composting them, and then you can get it back as compost. Rather than just wasting food scraps, you are actually doing that. Spare Harvest could facilitate that. There could be someone who goes, 'Oh, look at all the food scraps here. Maybe I might collect them for a small fee and then compost it myself. Then I can give it back to them for a small fee.’ Those connections might actually facilitate more social innovation. The first one, that I go back to quite a lot is Simon Sinek. He's the 'why' guy. So he did 'Start With Why' initially and that was around businesses and he's just launched a new book, 'Find Your Why'. I think it's really important that individuals find their own purpose. Businesses need to have a purpose, but individuals need to have a purpose. So he's got two great books that I would highly recommend. Rachel Botsman, based here in Australia, is a world expert in the sharing economy. She's got books and TED Talks and resources on her website. So I'd recommend anyone that wants to get into that whole collaborative consumption and sharing economy space to check her out. There's a great book that I'm reading at the moment called The Village Effect and that's by Susan Pinker and she talks about how face-to-face contact and make us healthier, happier and smarter. And that's an integral part of Spare Harvest's design - that we actually have face-to-face contact. On a personal side I'm also reading some books by Brené Brown and she's an expert in that whole vulnerability space. And on her website she's got some great talks around that. Growing and creating Spare Harvest has been the most amazing personal development journey I've ever had in my whole entire life. And it's brought up lots of things personally for me. I'm a better person having started Spare Harvest and my kids are better people as a consequence of starting Spare Harvest. In fact, my daughter has got a listing on Spare Harvest where she wants to start a community cutlery collection. So her goal is to collect everyone's left over stainless steel cutlery, bundle it up and then rent it to people for events. So rather than going to the shop and buying plastic forks and spoons, they'll rent it from her, use it, it'll look eclectic and old. They use it and then give it back to her. And so she's now got a listing on her behalf to try and create her own little social enterprise and she's only 15. So Spare Harvest, has inspired not only me to do something, but it's inspired my children to do something and inspire other people in my network to do other things. 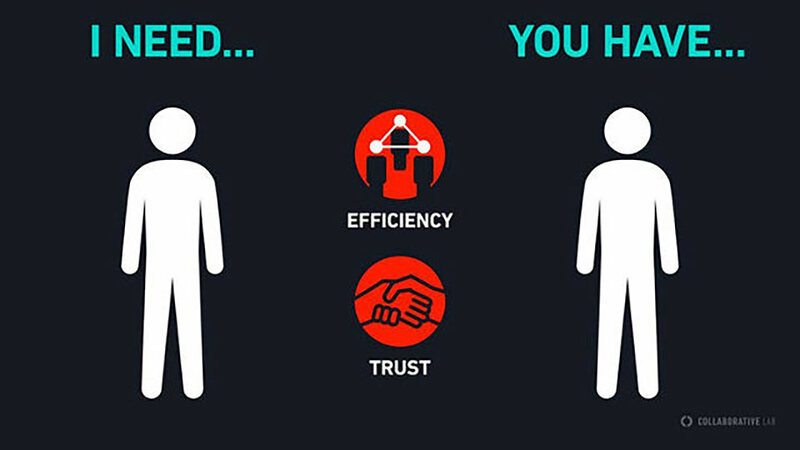 Article: What Exactly Is The Sharing Economy? Rachel Botsman: researcher and speaker on the sharing and collaborative economies. Brene Brown: researcher and speaker on vulnerability and courage. Hive Haven – Ann and Jeff have developed a native bee hive that maintains a stable temperature and enables the harvesting of stingless native bee honey and cerumen. The Mindful Wealth Movement – Alison and Lea are empowering women by providing financial literacy education and workshops. Small Is The New Big – Ian has created a social enterprise that tackles housing affordability and homelessness while giving investors a healthy return. Refugee Talent – Anna and her team are successfully helping refugees gain employment. The Village Effect by Susan Pinker. How face to face contact can make us healthier, happier and smarter. You can contact Helen on LinkedIn, facebook or instagram. Please feel free to leave comments below. Find other articles on the sharing economy.